Private couple pre-marriage sessions are available on request. We issue you with a pre-marriage certificate which is accepted by catholic priests and also for couples getting married abroad. 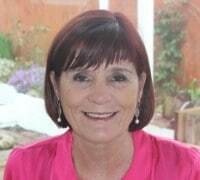 Carol Lynch – MIACP, Dip counselling & Psychotherapy, MIIACP. Marriage, couple and relationship counsellor for 10 years. Beth Fitzpatrick – Director of Access counselling, MIACP, Diploma in counselling & spychotherpay, IACP Supervisor, MIACP. Beth has been a counsellor for over 15 years, a family therapist, a community group counsellor for all issues, providing skills in parenting, addiction, relationships, depression and bereavement. 1. Communication in a relationship- openness rules how to resolve issues within the relationship. 2. Planning for the relationship – for a future together. 3. Work and how it effects the relationship and how to reduce and resolve current and potential issues. 4. Money – how it can effect the relationship and how to reslove current and potential problems. 5 Family – in-laws and friends – how they can impact a couple and a marriage and how to build a nurturing envirnoment for the relationship within these potential stressful situation. 6 Religion – We teach you how religion or different beliefs can impact the relationship and how to live in a loving relationship and marriage within healthy different opinions. 7 Wedding preparation – Finally how to stay together and focus on what you want in a loving and nurturing way and manage the stressful activities leading up the wedding. Causes are usually from one or several of the following areas; finances, sexuality, communication, conflict, parenting, in-laws, leisure time, family of origin, spirituality, expectations, and chores. We aim to address these issues in advance and prevent them from damaging a new marriage. Book your place online now by clicking here to send us an enquiry, click on the course of choice above or call us on 01 5240708.